You are here: Home » The Invisible TV Show Hits the Road! The Invisible TV Show Hits the Road! Well here we go! Our first remote broadcast, and our first one where Jim and I will actually be face to face! As some of you know Jim and I live across the country from each other, he in Jersey, and me in Idaho. Well Tomorrow Jim will be escorting our Mother out here to Idaho to attend my Son’s wedding on Saturday. Of course Jim and I are always thinking about how this meeting can be made into something bigger. What could possibly be bigger than the Beer and Whiskey Brothers doing a Remote Podcast together at Idaho’s own Brewforia! Yep we will be at BrewForia around 1:00pm on Sunday. 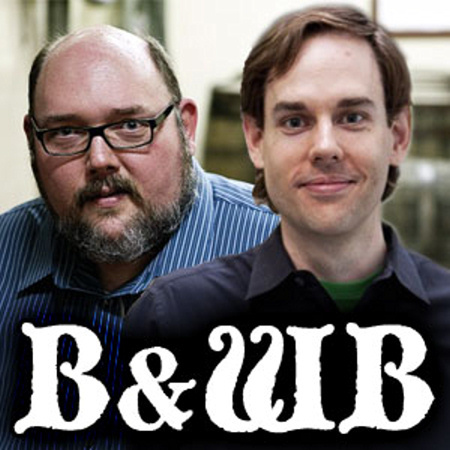 We will be doing a podcast with Rick Boyd (Brewforia Owner) stopping by, as well as others. If you are there, who knows you might end up on the podcast as well! We will be sampling a lot of brews and goofing around. If you are in the Boise area, why not stop by and listen in or say hi. Of course if there is a beer you would like us to sample we will be happy to take your suggestion, and more happy to take your beer! All free beer will be sampled and discussed! Suggestions will be considered. In addition if you have any questions, put them up in the comments, and we will get to them during the podcast. We will also be sampling the new Makers 46. It should be a great time and one we look forward to. Remember get those questions in the comments! ← BrewDog Tokio Stout: Finally Something They Have Done Right! This is news to me! So I guess I know where I’ll be on Sunday afternoon. Good thing I’m bringing the laptop – I’m not sure how we’d record otherwise. Don’s not exactly tech savvy. Maybe we’d talk into an old cassette recorder. I’d hate to tape over his slow jam love tapes from the early 80’s! “All Out of Love” was a junior high makeout anthem for sure! Those are classics Jim! Love Hurts from Nazareth and GNRs November Rain are classics. Couldn’t “accidentally” tape over the likes of those beauties. I hope you broke off the plastic tab on the corner of the tape so it doesn’t get accidentally recorded over. Oh yes! Wouldn’t want anything to happen to them. Keep your Scotch tape away from my ballads. I need to fly up to Boise and bring my drinking shoes this weekend.